List of "Extreme Adventure Travel" destinations visited by Andy Lee Graham as Blogger of HoboTraveler.com. An extreme adventure travel destination is a location where the person could be killed, and they do not conduct tours, the traveler goes alone. 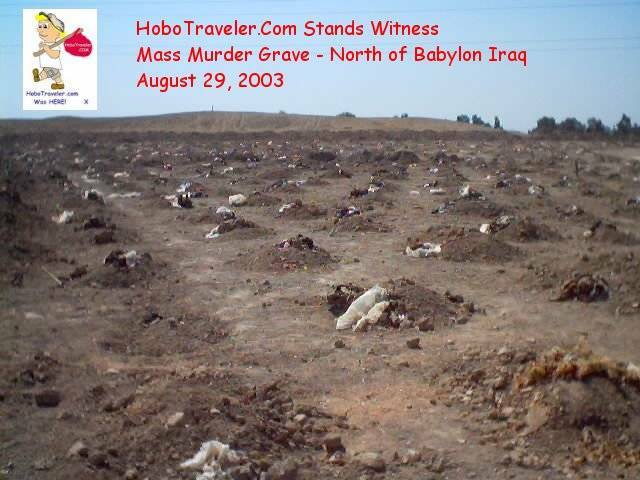 2003 Iraq War, Mass Grave - Two months after end of heavy war.